4.5" closed. 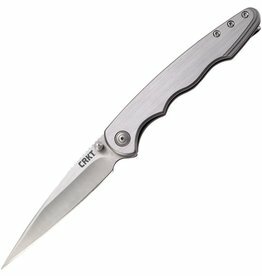 3.5" 8Cr13MoV stainless blade. Brushed stainless handle. Thumb stud. Pocket clip. Satin and brushed finish blade. Designed by Matthew Lerch. Boxed. 4.75" closed. 3.5" stonewash finish 1.4116 stainless drop point blade. Black GRN handle. Extended tang. Pocket clip. Breakthrough Field Strip technology lets you easily disassemble your knife for cleaning without tools. Boxed. 4.63" closed. 3.5" black finish stainless spear point blade. Black stainless handle. Thumb stud. Pocket clip. Extended tang. Boxed. 4.63" closed. 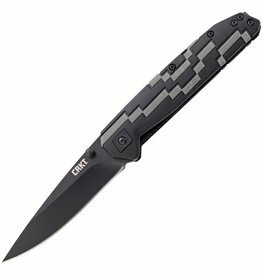 3.5" black oxide coated 8Cr14MoV stainless blade. 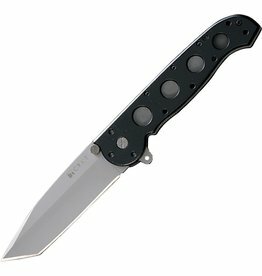 Black and gray GRN handle. Pocket clip. Thumb stud. Designed by MJ Lerch. Boxed. 4.25" closed. 3" black finish stainless tanto blade. Black stainless handle. Extended tang. Thumb stud. Lanyard hole. Pocket clip. Boxed. 3.5" closed. 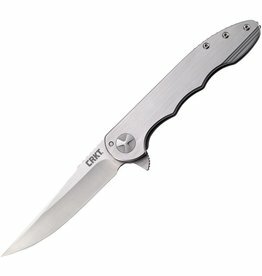 2.5" stonewash finish 8Cr13MoV stainless blade. Stonewash finish stainless handle. Bottle opener. Extended tang. Thumb pull. Pocket clip. Lanyard hole. Designed by Eric Ochs. Boxed. 5.5" closed. 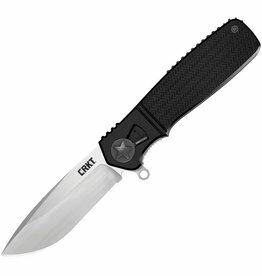 3.75" black TiNi coated partially serrated AUS-8 stainless Tanto blade. Black GRN handle. Thumb stud. Pocket clip. Extended tang. Belt/cord cutter. Glass breaker. AutoLAWKS safety. Boxed. 4.75" closed. 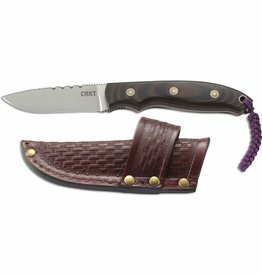 3.5" satin finish 1.4116 stainless drop point blade. Camo GRN handle. Extended tang. Pocket clip. Realtree XtraCamo handles. Breakthrough Field Strip technology lets you easily disassemble your knife for cleaning without tools. Boxed. 4.75" closed. 3.5" brushed finish AUS-8 stainless drop point blade. Green aluminum handle. Extended tang. Pocket clip. Field Strip technology that allows for no-tool take apart capability. Ken Onion design. Designed by Ken Onion. Boxed. 5.25" closed. 3.875" bead blast finish AUS-8 stainless tanto blade. Black Zytel handle. Thumb stud. Pocket clip. AutoLAWKS safety. Designed by Kit Carson. Boxed. 4.75" closed. 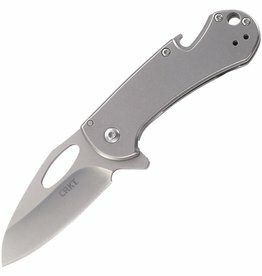 3.63" 8Cr13MoV stainless blade. Brushed stainless handle. Extended tang. Pocket clip. Satin and brushed finish blade. Designed by Matthew Lerch. Boxed.